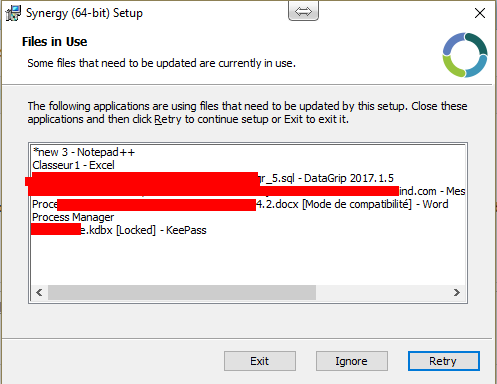 Why would Synergy mind about these files ? Has someone else experienced such a strange alert ? I'm going to ignore this warning and cross my fingers. Please try uninstall, reboot, and reinstall. It's a known bug that we're working on. I've never minded those knowing Synergy uses the mouse and keyboard and clipboard. I assumed one of those were causing those prompts. @Nick Bolton: I just stopped the programs, work day was over, I didn't mind.